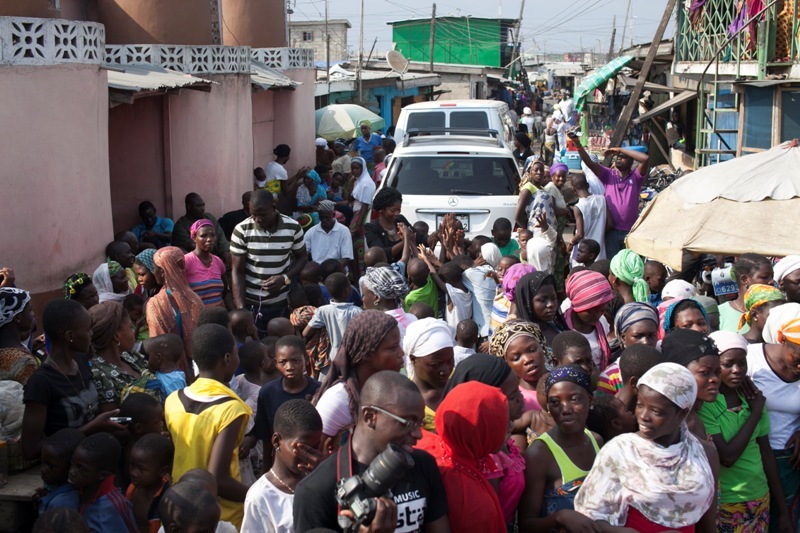 Accra based production house Ohene Media (OM) on New Year’s Day organized a party for residents living in and around Soddom and Gomorrah, a suburb of Accra. 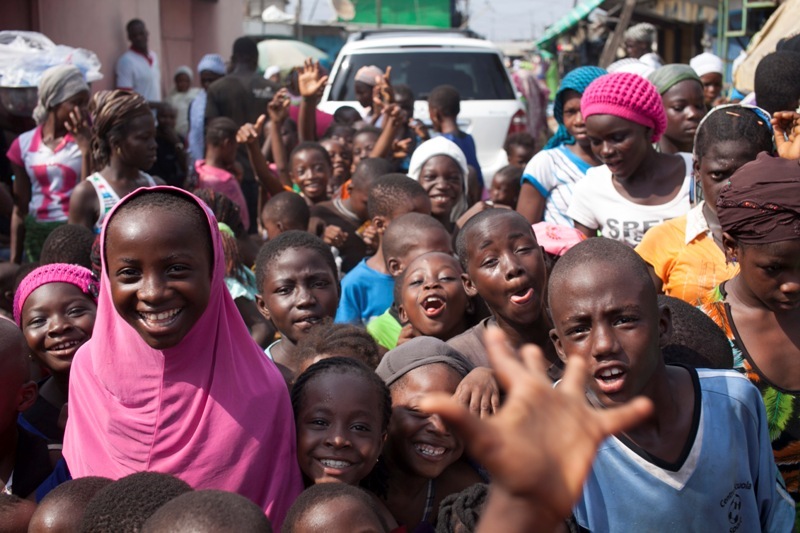 In an event dubbed “1000 smiles”, over thousand people especially children living in the community were given food, water and drinks. 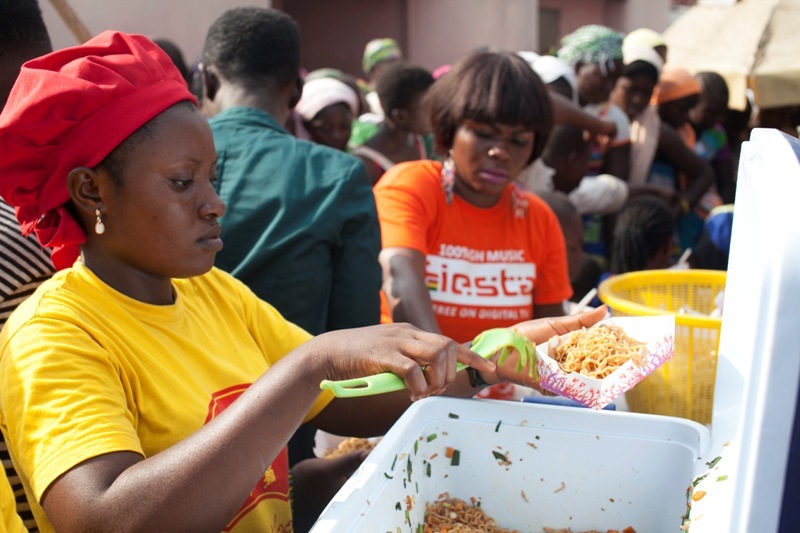 A number of musicians including Okyeame Kwame, Tina Asante, OJ Black, Cabum and Luther joined staff of OM to share food to the people. CEO of Ohene Media Abraham Ohene Djan said the “1000 smiles” event was the company’s way of giving back to the poor and needy in the society. He said the party was organized to put smiles on the faces of the less privileged and also to make them feel part of the festive season. “Last year our company was involved in a lot of activities which were geared towards promoting the music industry; we paid YouTube royalties to several Ghanaian artistes, we supported musician Kwabena Kwabena to raise funds for the Cardio Centre in Korlebu Teaching Hospital and also organized the “One Ghana” concert, a free open air musical concert aimed at promoting peace and tolerance through music and because Christmas is a season to love and share, we decided to share with the less privilege.” He said. Mr. Ohene Djan expressed gratitude to Midas Insurance Brokers, Belaqua mineral water and Vits for sponsoring the event and hoped that in subsequent years the event would be extended to other under privileged communities. Ohene Media fetes less privileged on New Year Day 0 out of 5 based on 0 ratings. 0 user reviews.